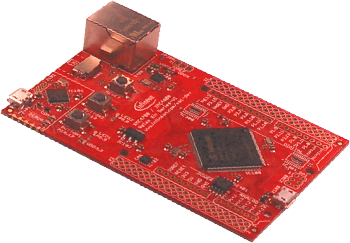 The XMC4700 Relax Kit is an evaluation board with XMC4700 microcontroller, based on Cortex-M4. It feature with an Ethernet-enabled communication option, e.g. to run an embedded web server. You can store your own HTML web pages on a microSD Card or control the XMC4700 via the web browser on your PC. The connection to the PC and the related power supply is via Micro USB cable. Buttons and LEDs are used as input and output devices. 2 pin rows of 2 x 20 pin are available for user both for the expansion of the board as well as for measurements. Debugging is supported via 2 different channels; on SWD and serial COM. 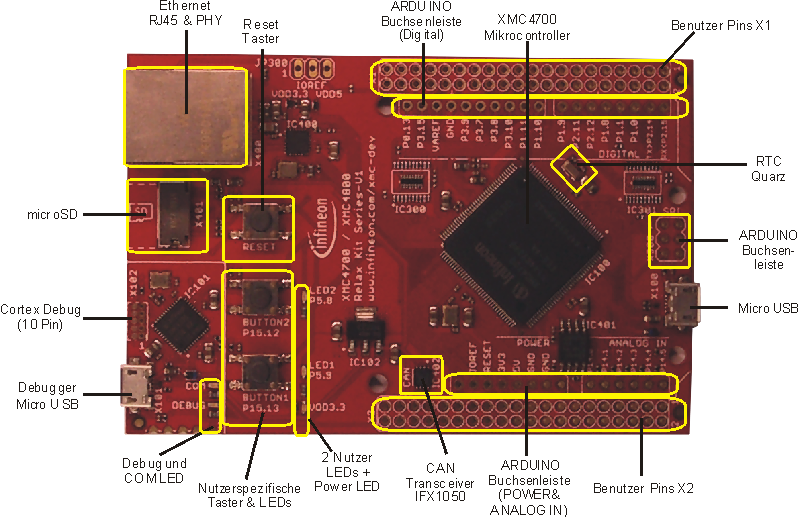 The XMC4700 Relax Kit is compatible to Arduino™ Hardware. For more information please refer to the original data sheet by Infineon.